This is a 2.7km nature trail located about one hour drive from Ao Nang. This beautiful and lush rainforest trail has lots of wildlife, flora and fauna. It also home to the ‘Crystal Lagoon’. The azure waters of the lagoon are warm, clear and lovely for a refreshing swim. If you’re travelling with children, you could try a shorter trek just to the lagoon, which is 800 metres from the entrance. 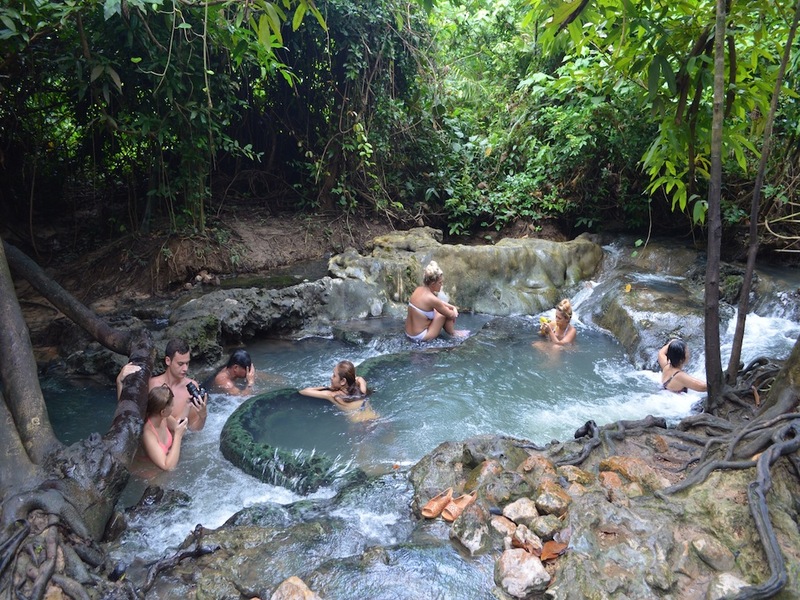 These hot springs are located in the same reserve as the Thung Teao Forest National Park. The naturally formed hot tubs are filled with thermal spring water. The combination of the temperature of the water, along with the natural mineral salts it contains is said to be healing and soothing. 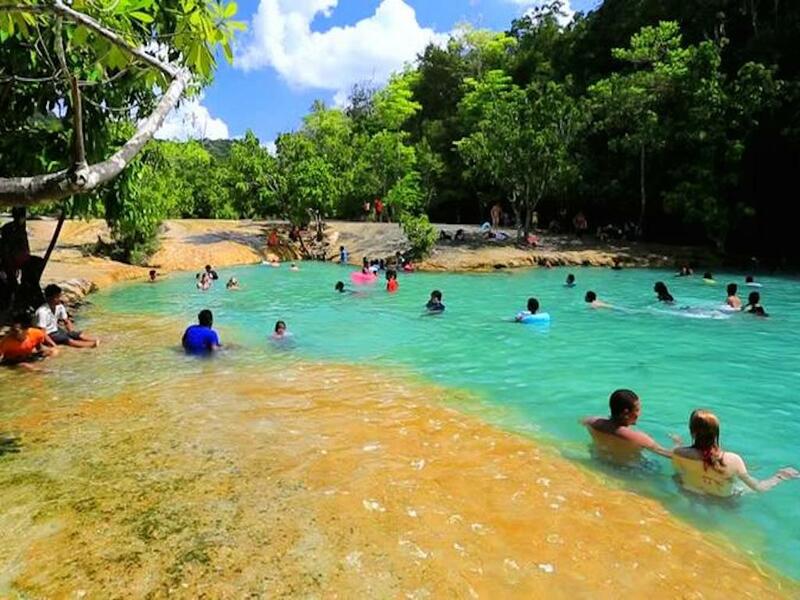 They are certainly relaxing, take a dip and enjoy the beauty of the surrounding rainforest. Krabi’s huge limestone outcrops have put it on the map as a world-class climbing destination. 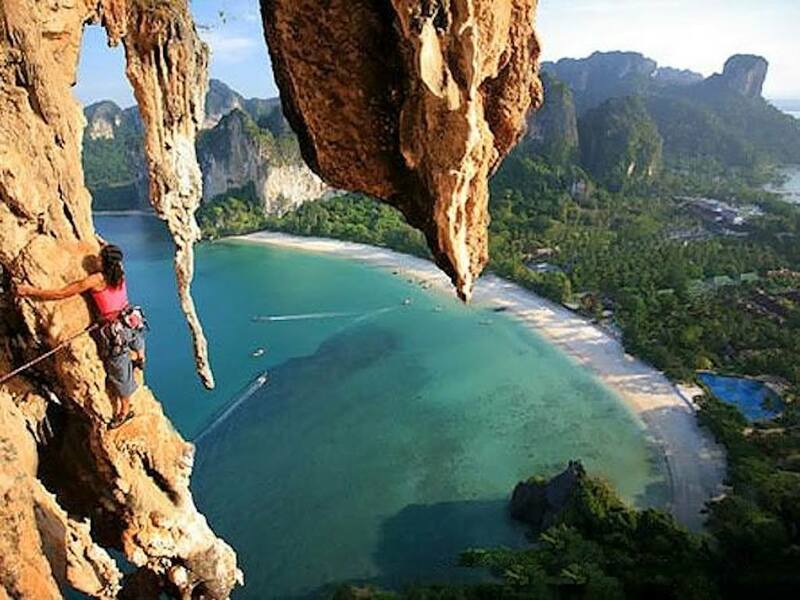 Ok, so most people know you can climb in Krabi now and it’s no longer a secret hot spot. There are several climbing schools in Krabi. The location doesn’t just suit the most adventurous climbers though. There are many schools that now offer courses for beginners. Climbing enthusiasts will be kept busy tackling bouldering, overhangs and stalactites in several locations – it’s nice to dive off the top of a climb into the beautiful water below. Go off road and cycle through palm plantations, local villages, dirt roads, rubber farms and waterfalls. Using a bike is eco-friendly and one of the best ways to explore all that Krabi has to offer. 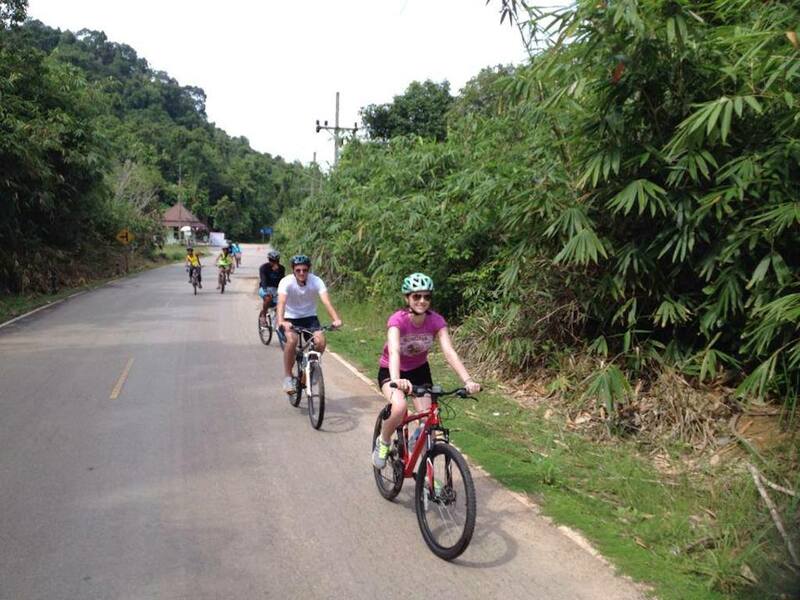 There are several companies offering bike tours in Krabi. 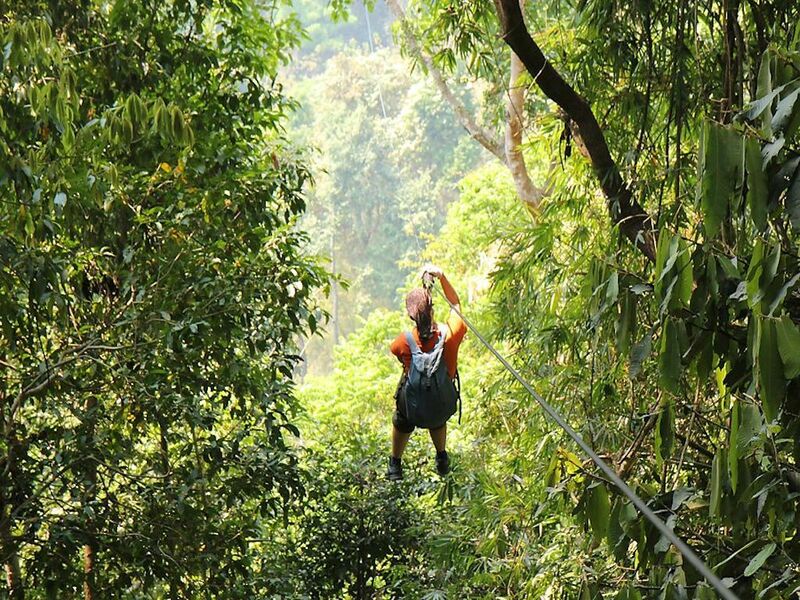 In Ao Lek you’ll find the Tree Top Adventure Park – an adventure course that enables you to use canopy walks, ziplines, tarzan swings and flying skateboards to make your way from tree to tree through the rainforest. This natural trail is challenging, but the views are worth the climb. The walk to the summit can take several hours as it’s a 3.7k trek. So 7.4 km to walk to the top and back This is not a flat trail and there is plenty of uneven and bumpy terrain, to keep it interesting. 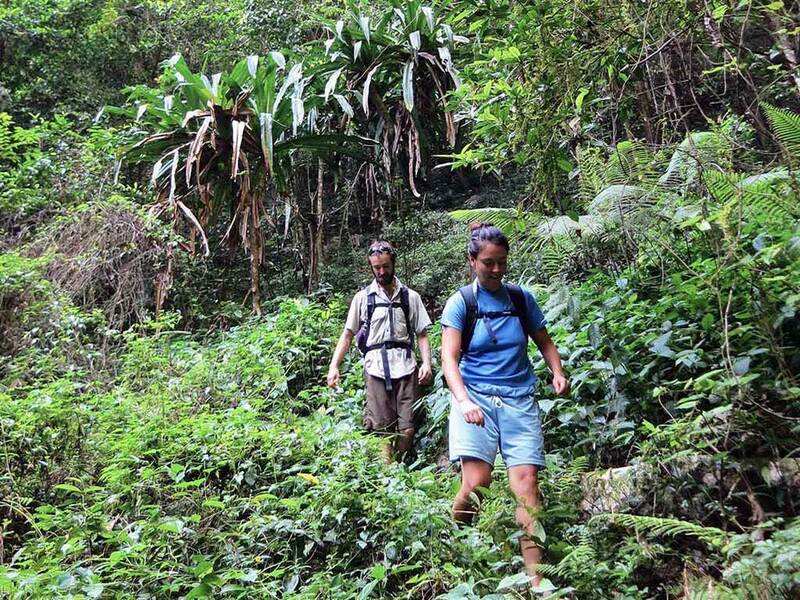 You’ll really feel like you are trekking through the jungle as you make your way through the lush vegetation. You can stop for a dip in the rock pools on the journey. 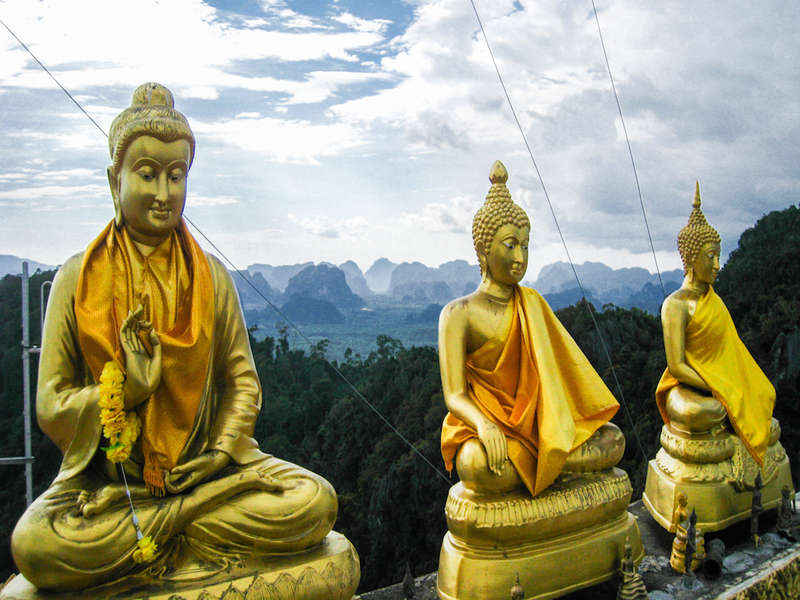 Just remember to take plenty of water and a camera to get some lasting memories of the beautiful views over Ao Nang. 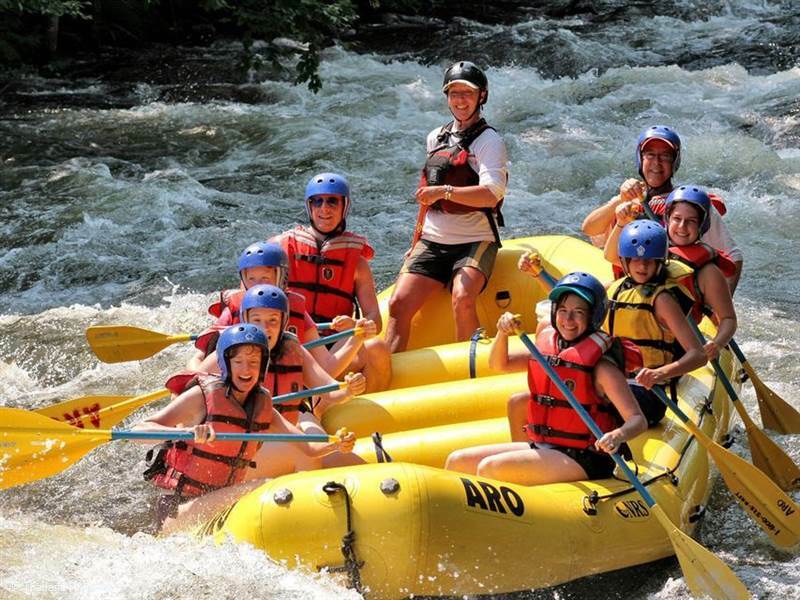 White Water rafting is a relatively new activity in Krabi - in fact it takes place on the Songpraek River in the province of Phang Nga further north of Krabi.The man-made rapids course runs for 5km or 9km and is more about power than navigating skill. The 5km course is only for children older than 9years being an extreme sport activity. The challenging 9km course is only to be undertaken by adults who have had experience and a high skill level. As the journey to teh rapids is long ( 1 - 1.5 hours) and the activity short it is best to combine this with a day trip taking in other activities. This temple is open for tourists to visit, monks and nuns come from all over Thailand to meditate here. For those that are fit enough a 1260 stair climb leads to the mountain-top shrine. The views are worth it. Remember to respect the dress code and be warned that there are both monkeys and stray dogs at the temple. Legend has it that a Vipassana monk named Jumnean Seelasettho meditated in the cave back in 1975 and witnessed tigers roaming the cave, which led to the name of the temple. There is more about activities in Krabi in our Activities Section Krabi Destination Guide. If you would like to know where to stay in the area, check out our villas in Krabi.